Women’s quota, to ensure maximum women’s participation in politics is still a widelydiscussed topic. However, people in the country including women, themselves, have mixed feelings on implementation of the quota system. They say there are positive and negative impacts of quota implementation in the country. Some are of the view that the quota systemshould only be a temporary special measure. 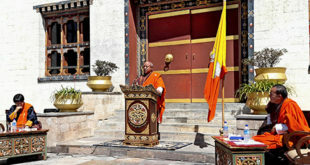 Foreign Minister, Lyonpo (Dr)Tandi Dorji, said that although the women’s quota system was discussed during the previous government’s time, however, it did not come through. However, he said that this has also come about with certain problems, like violence, stereotyping and abuse of women in politics and in leadership positions. There are challenges seen in those countries where the quota system has been instituted, he said. “So it is not the quota system that must be enacted but it must be directed towards creating conducive environment for women to contest,” he added. In addition, he said that three areas must be addressed; first, in terms of structural barriers which must be removed. “If there is any policy or legislations that inhibit women, remove those. Second, is social and culture barrier, if that is there then it must be removed and improved,” he added. Third area comes in terms of psychological and motivational factors. Lyonpo said the women’s capacity must be built to break the psychological barrier that inhibits women. Meanwhile, MP Yeshey Dem of Khamaed-Lunana said thatshe is both for and against the initiative of the quota system in the country. She said with the quota system, every fresh graduate might attempt to enter politics just because of the quota. “They might contest, not for the sake of serving the nation, but for the sake of quota and every parents might encourage their children to participate. Thereby, the participants will be more in number while there will be very few who will serve the nation with full dedication,” she added. MP Yeshey Dem also said well experienced and capable candidates with poor background might be left behind. “People with money-power might get the quota and that might deter the quality of politicians,” she said. She said that women are always at home taking care of household chores. “So how would quota help in such situations like this? Therefore, first we need to explore all the platforms to provide our women to come forward,” she added. 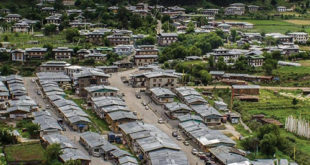 Gup Namgay Pelden of Tashiding Gewog, Dagana saidas far asthe population count in Bhutan goes, 51 percent are women and 49 percent are men, and mostly well qualified persons are women. However, there are very less women who come forward in politics and there are very less women in decision making level. She also said that making the quota system a permanent measure would have negative impact as well. “For now, to have more women representative I feel that temporary measure on quota system would be the best,” she added. 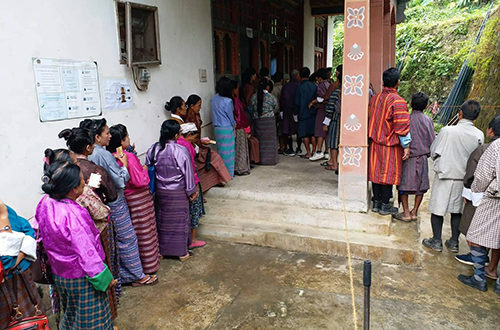 Likewise, a lone female Deputy Chairperson of Local Government (LG), Tshering, said she has a mixed feeling on women’s quota as democracy is new in the country and the quota is needed as it can serve as a stepping stone for women. On the other hand, “I feel that quota system might have negative impact because once a certain percentage is set for women in politics, there is every chance that we might fail. Just to fill the quota, we cannot elect someone who may not be well experienced and who are not capable,” she said, and further said such failure might lead to bigger problems. Apart from quota, there are various ways to make women come forward, by giving awareness, educating them, giving them the platform and by encouraging them, she said. Gesarling Gup of Dagana, Pema Wangmo Tamang, said that there is the need of women’s quota, both at the national level and the local governance level. “If we implement the system during this period of time then there is every chance that we may not get capable candidates who can serve better. 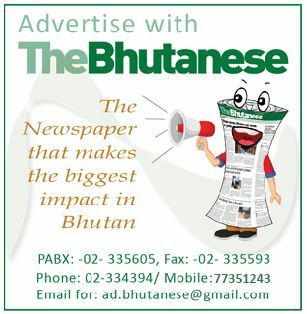 There might be many who will want to participate just to fill up the quota,” she said. Women’s quota is not only the way to encourage women into the politics. For now there are quite a good number of women who came in front to contest and that should be more than enough as democracy has just started in the country, she added. In addition, she also said that in order to have more number of women to contest for elections, the existing women representative must set good examples, encourage other women to come in front, educate them on importance of participation and how to deal with criticism. She said thatif no women comeforward to take part in politicsin the future, despite using every possible way to encourage them, then that might be the right time to institute the women’s quota with proper research and study. She said, “BNEW has been doing a lot to provide women with a platform to take a leadership position, and if they continue doing so then I feel that no women will sit back and just watch. Women have the ability just as men, but what they need is the platform,” the Gesarling Gup added.